This post is part of a sponsorship with Wayfair. 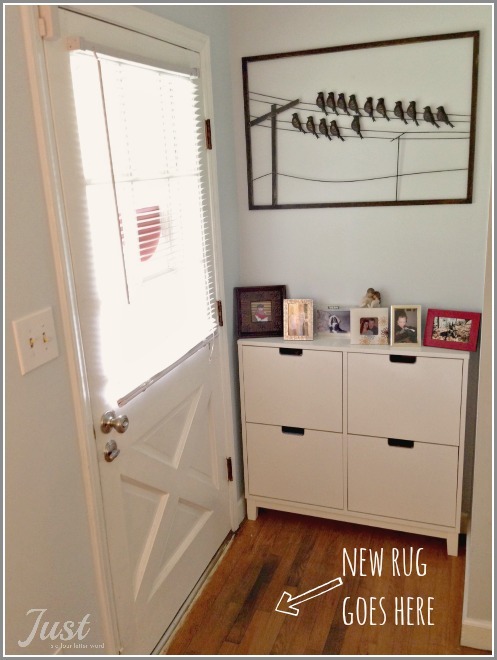 A little something fun for a Thursday and it comes in the form of a discount from Wayfair! 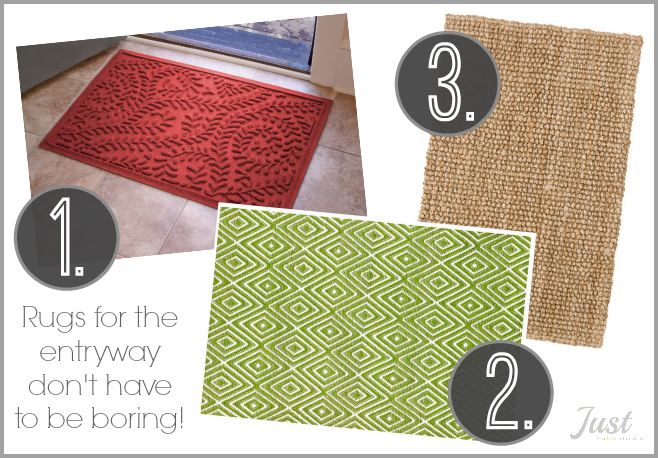 But before we get to that, I could really use some help choosing a new entryway rug. 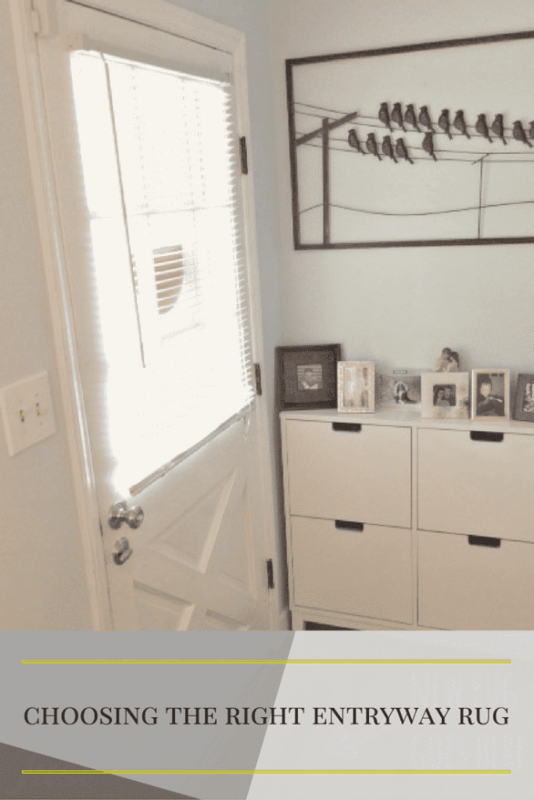 If you’ve been following along with our sporadic home improvements, you know that we do a little here and there, nothing for a while and then tackle a huge project. Last month we got new windows. This month, I’m trying to deal with the summer splurge and get organized. Currently, I am on the hunt for a great entryway rug that will coordinate with the rest of the decor in our open living-room and kitchen. I have never been one for matchy-matchy stuff, which means you won’t see me buying rug sets or basically any room-in-a-box type thing. It takes longer for me to find what I want, but I feel like the end result is worthwhile. Plus, and let’s be honest here, if I ever felt like my house was finished, what would I do with myself?! So here is what my room looks like. We’ve got some pretty bold patterns going on in the dining area curtains and the living room rug and I love the way it’s coming together. Yes, I love a good pattern. But I also know I should probably stick to something simple for the front door. I’ve narrowed my choices down to three options. I’d love to hear your thoughts. This is a great and practical rug for the front door. I like the variation in texture for cleaning dirt off of shoes and it looks to be non-slip which is a bonus. My concern here is adding another red to the room. So far, I have been ok with matching reds and this one looks like it would work. But I won’t know until I see it in person. Bungalow Flooring Aqua Shield Boxwood Mat $40. I really really love this rug. I love the color and the pattern. That said, is it subtle enough to bring in with the other patterns in the room? Part of me says yes, but I need some encouraging here. It’s definitely the riskiest one of the bunch. It’s also thinner and would require a non-skid rug pad underneath. Dash and Albert Woven Sprout Indoor/Outdoor rug $35. I love the look of natural rugs and I think this one would look really nice in the room. It would also need a rug pad but would be great for catching dirt as we come in from the yard. Kosas Home Anello Natural Rug $63. So here I am with 3 tabs open in my browser and I just can’t decide! I’d love to hear your thoughts on these. And if you have some rug shopping to do, I have an exclusive discount for Wayfair to share with you! 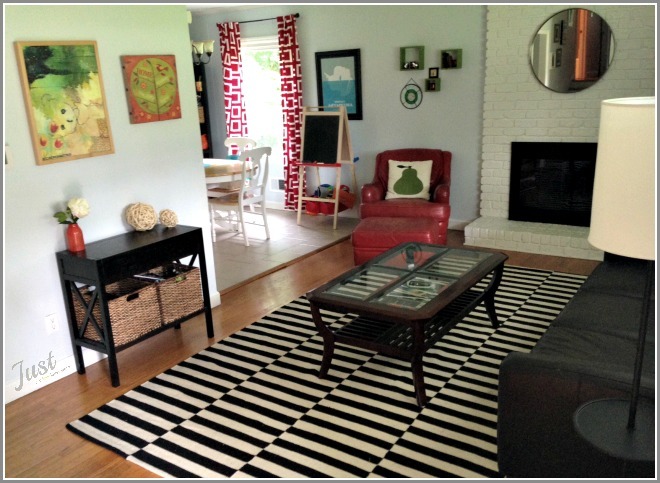 Between now and August 4, 2014, use the code RUGLUV08 to get 15% of any area rug purchase on Wayfair.com. These discounts don’t come around very often, so if you need a rug it’s a great time to buy! I think I like the natural one best. And green is a close second! Thanks! I like them both, but I wish they would be non-slip. I love the green. So much. I just don’t think it will hold up as the front door rug. And your counters!! Sigh. Just perfect. I’ll be the voice of dissent here! I think you should go with the red. It provides a nice pop of color at the far side of the room, plus it’s already non-skid. I’ve had a thin rug like the green one, and even with a non-skid pad, it still bunched up. That can be aggravating, especially at a main door. 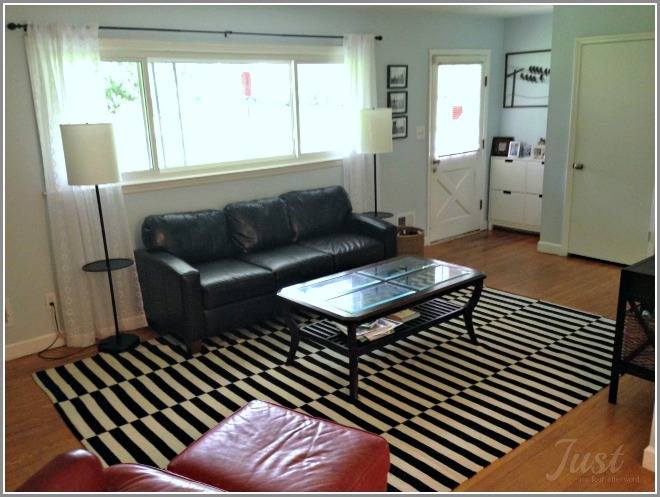 The neutral rug isn’t bad, but it just kind of blends in with the floor. I think I am leaning that way too! I like the red best. The texture allows for it to be a few shades off from the other reds in the room, and it gives you something different. The natural blends with the floor and the green is like you’re throwing another color in that’s no where else. That’s kind of awkward, from a decorating (well, at least my 9-hour interior design course decorating) standpoint. Thanks! The green is on the other side of the room, but I think I am leaning toward the red too. I just like that I won’t need a rug pad!